Moore says he’s only slept for two hours since the start, but because of the shorter mandatory layover in Dawson City, his team has had more rest than it did two years ago. “We figured we probably need a little more rest going into 24 instead of 36 [hours],” said Moore. 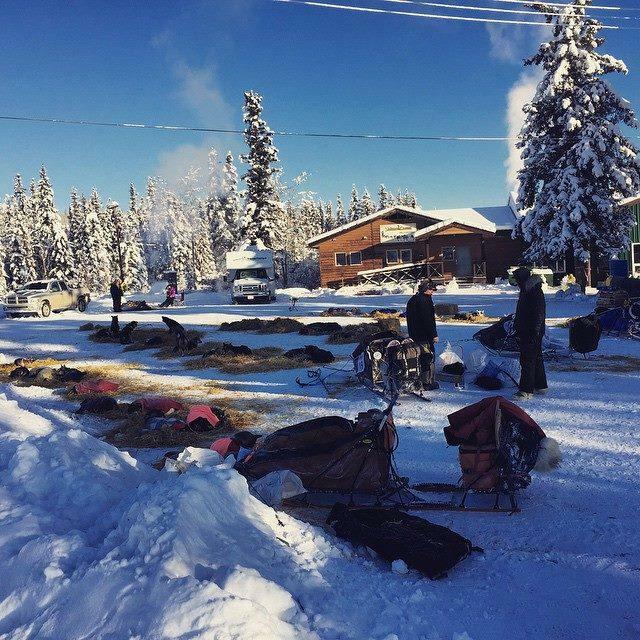 Dog teams rest in Pelly Crossing. The trail from here to Dawson stretches more than 200 miles. It's the longest distance between official checkpoints on the trail. Early on, Jeff King ran his team for 100 miles straight to Braeburn. Hugh Neff ran over a hundred miles straight between Carmacks and Pelly Crossing. 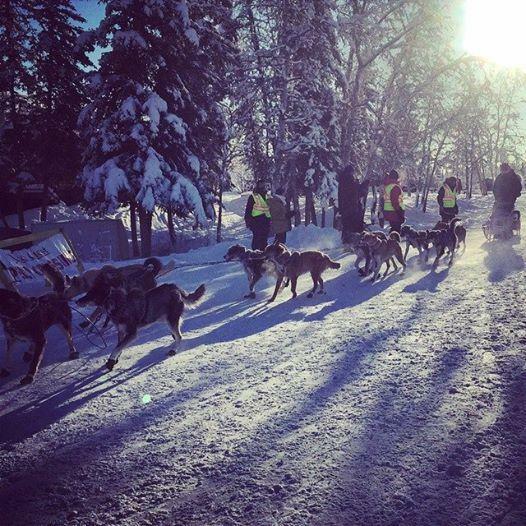 But Tagish musher Ed Hopkins said he is intentionally under-running his dogs. “Whenever they feel like they want to really take off, I’ll just stop and I’ll just let them roll around until they ‘ll take off again slow and start climbing,” said Hopkins. Hopkins said that time won’t come until after he’s crossed the Alaska border. 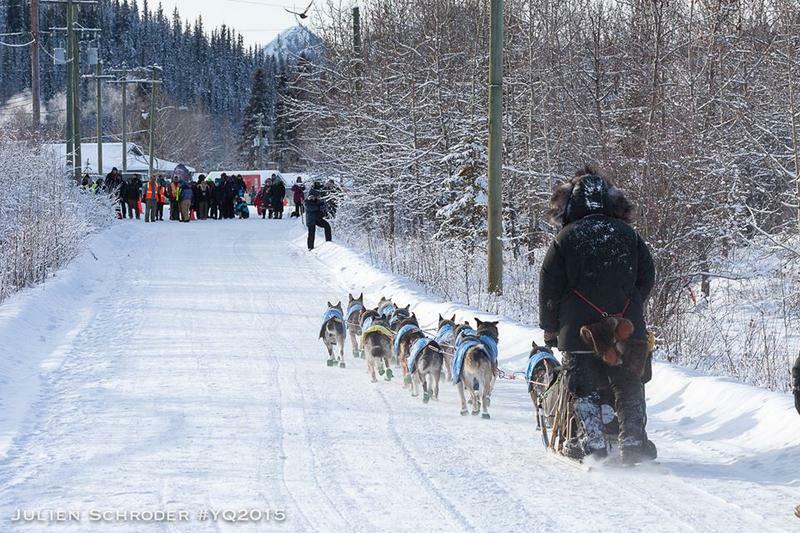 It’s the kind of plan experienced Quest mushers execute well, which is frustrating for well-known Iditarod musher and Quest rookie Ray Redington Junior. 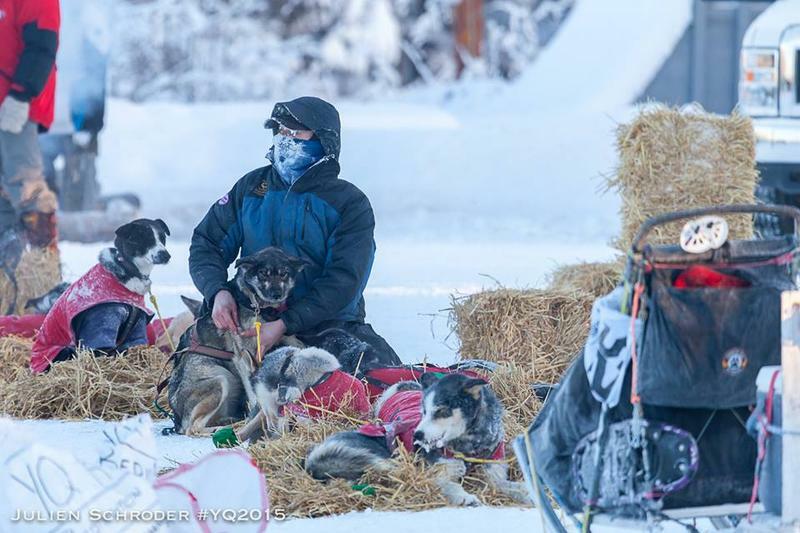 “In Iditarod, I kind of know where I’m at all the time, where here you’re just hoping you find the next spot,” Redington said. More than half the race still lies ahead. The trail includes three major summits and its notorious for both jumble ice and overflow. Whether banked rest or early long runs will pay off remains unclear.